which at this moment is under a lot of turbulence and uncertainty. 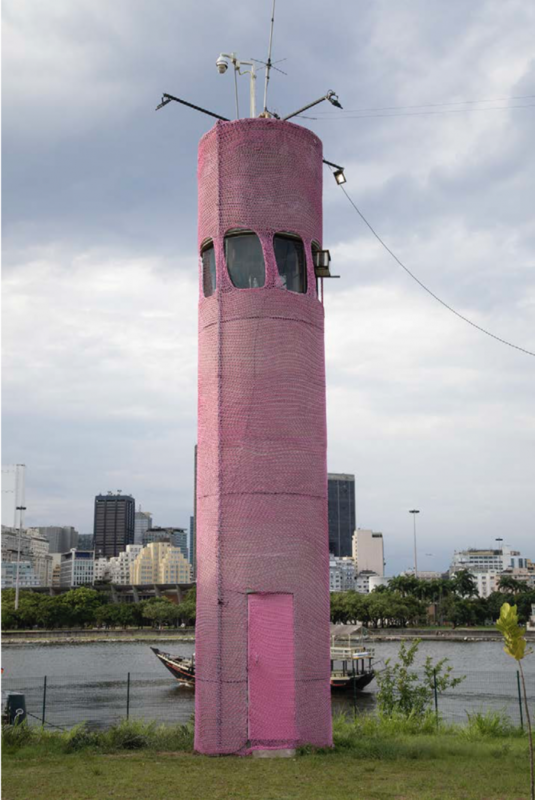 The knitting was made using pink marine ropes and will cover the whole tower. as soon as the tower is renovated and ready to receive the painting with it’s surface smoothed out and painted in white, without all the wires. also reinforce the idea of a demonstration of love and caring with the abandoned buildings and museums in our country.